Lamborghini India has finally launched the facelifted edition of the much loved Huracan Evo in India. Priced at Rs 3.73 crores (ex-showroom), Huracan Evo brings in a host of new changes in styling, aerodynamics, and performance. Replacing the outgoing Huracan which was priced at Rs 3.71 crores, this will now take the mantle forward. Lamborghini Huracan Evo is powered by the 5.2-liter V10 engine that offers a whopping power of 640 Bhp with a torque of 600Nm. It can reach a speed of 0-100 kph in just 2.9 sec while speed of up to 200 kph can be reached at just 9 secs. The top speed for this model is 323.5 kph. 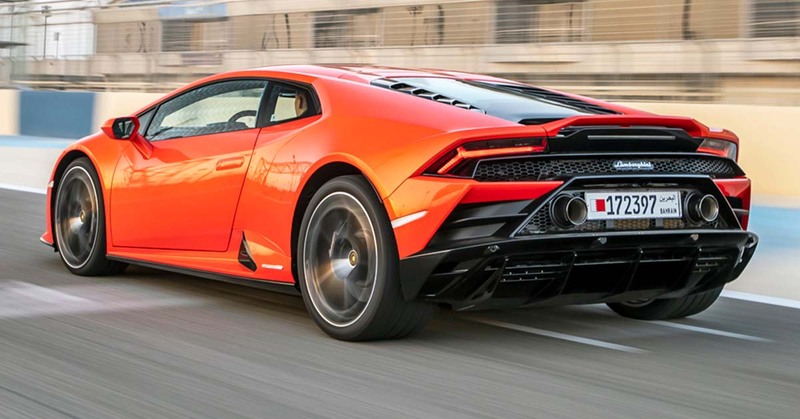 It comes with all new front bumper, rear bumper, twin exhaust pipes, rear diffuser and more with super-slippery underbody and all new ducktail spoiler offering better drag than the previous edition Huracan Evo. Lamborghini has also incorporated all new chassis control named as Lamborghini Dinamica Veicolo Integrata (LDVI) in this Huracan Evo. It also bears a new enhanced torque vectoring system and has magnetorheological damping too. Keeping in line with the new digital aesthetics, Huracan Evo has incorporated 8.4-inch capacitive touchscreen that comes pre-equipped with Apple CarPlay and advanced voice control mechanism. It also has dual camera telemetry system inbuilt. Lamborghini’s Huracan Evo is certain to rival Ferrari 488 GTB and the likes of Audi R8 V10 Plus and give them a good measure of the fight. Will Honda’s new strategy works wonders for their sales or will they fail miserably? Previous postWill Honda’s new strategy work wonders for their sales or will they fail miserably?